Home > Humor, Tea Party	> WWJS? 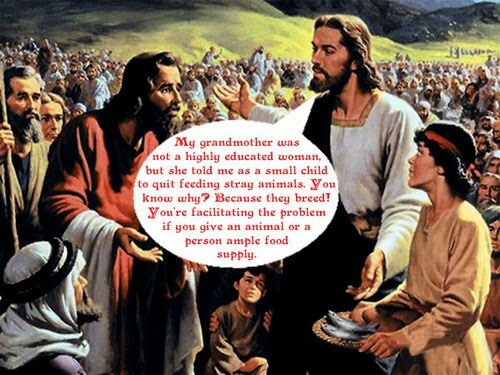 Check out this hilarious new blog that puts the words of Tea Partyers and Christians in the mouth of Jesus. Pretty ingenious. At the site you can click on the picture to see the origin of the quotation. Happy Independence Day! WIth Apologizes to Trotsky: The Dangerous Romanticization of Muslim "Moderates"